Cristian Gonzalez and Daniel Winkler discuss their upcoming party game, Headsnatchers. Headsnatchers is a multiplayer party game that is being developer by IguanaBee and published by Iceberg Interactive. The core concept of the game is about trying to keep your head on your character’s body while trying to get other players’ heads off their bodies. We reached out to Cristian Gonzalez and Daniel Winkler from IguanaBee who answered the following questions about the game. "Aesthetically speaking, art toys were the primary influence and their infinite possibility to connect with different types of audiences while maintaining their same shape, but changing their content." What initially inspired the unique concept behind Headsnatchers? Cristian Gonzalez : Aesthetically speaking, art toys were the primary influence and their infinite possibility to connect with different types of audiences while maintaining their same shape, but changing their content. I have Kid Robot toys all over my house and office and I’ve always found curious how they connected to such a wide audience, from toy collectors to my mother hahaha. In terms of game mechanics, we wanted to maintain our tradition of mixing violence, dark humor and modern art. Also, we found that ripping heads off was very funny and it lead to making some really gore but hilarious situations. Were there any particular challenges you faced during the game’s development? Cristian Gonzalez : I think that, the main challenge was creating a game mechanic and a simple button layout that allowed us to create levels with different themes, but maintaining the humor while playing. What would you say is a key aspect of a party game? Cristian Gonzalez : Button layout. The game must be simple enough, so any person can take the controller, learn how to play in a few seconds and let the game generate competition and laughter between the players. I think laughter is the most important factor. What can you tell us about the gameplay experience in Headsnatchers? Cristian Gonzalez : You’ve got to be very aware while playing Headsnatchers, because everyone will try to rip the head off of any opponent, so you must fight to survive and win. We also have 25 levels where each one has a different way of winning. 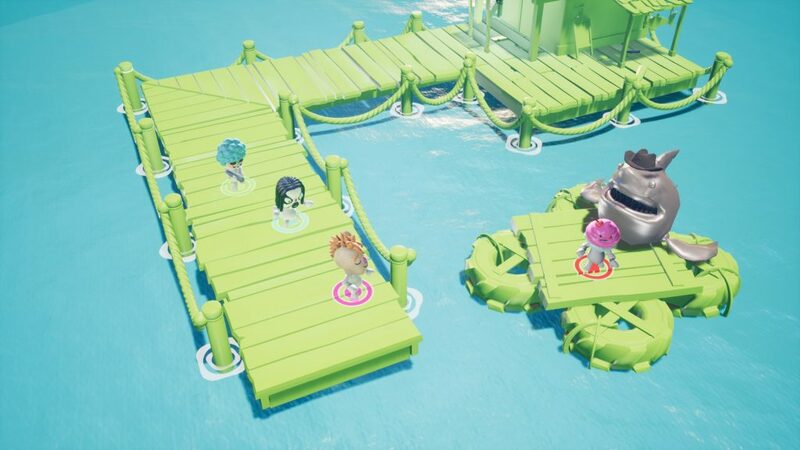 For example, in the “Pier” level, you have to take the head off your opponent and throw it to the sea so the shark can eat it. The greatest part is that, even if you lose your head, you can go get it and recover it, because if your head is still in the level, you can still play! Can you tell us a bit about the ways in which each level is distinctive with its own rules and attributes? Cristian Gonzalez : As I’ve said before, the central mechanic of the game is to take the head off of your opponent. 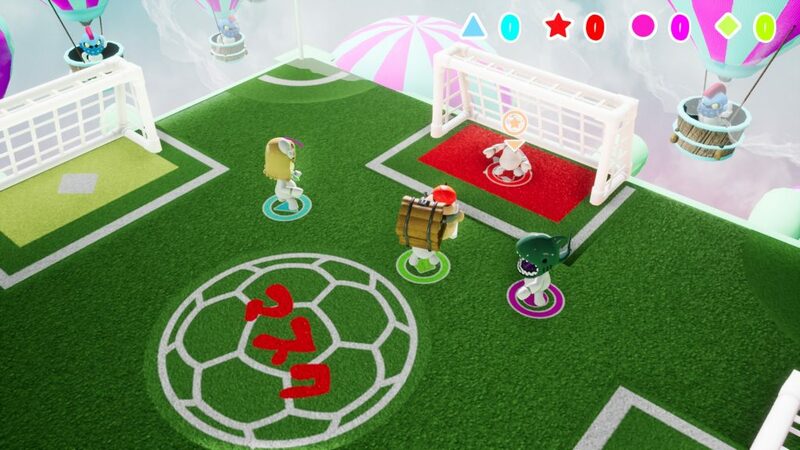 Now, that’s where each level is different, for example, in the football stage, you must take your opponent’s head and kick it into your field goal to eliminate it, or in another case, you’re escaping prison and you need your opponent’s head to feed the guard dogs and make them fall asleep, so you can escape. So, each level has their own theme, but the button layout is the same in each one, so you don’t have to learn new things for new levels. What can you tell us about the different weapons and items in the game? Cristian Gonzalez : In some levels, there are weapons that help you to quickly knock down your opponents. Among these weapons you’ll find shotguns, bow & arrow, axes, swords, guitars, spoons, knifes, bats and many others. Each one has a special move, where you’ll get a flashier and gruesome animation to take the head out of your opponent. Can you tell us what the single-player mode will be like? 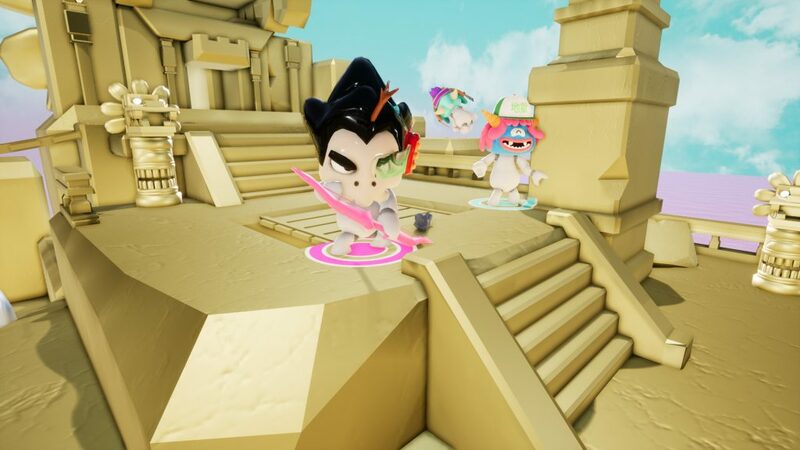 Cristian Gonzalez : We call it “Zombie Castle”, where you must rescue a partner that was kidnapped by the castle’s creatures. You know, a very original and never-seen-before set up. So, you must go through every floor of the castle until you reach the top of the tower. Another interesting thing about this mode, is that each time you play, it’s gonna be a different experience, because each floor will appear in a random manner. It has three difficulty settings, where Hard Mode is too much to handle, even for ourselves. So, each time you finish a castle, you’ll win a new head for you to play in the different modes. "One of the cool things about the button layout, is the fact that it’s really easy to learn, but if you want to do more moves, some buttons have a second function." Will there be a high skill ceiling for this game or will it be fairly simple overall? Cristian Gonzalez : One of the cool things about the button layout, is the fact that it’s really easy to learn, but if you want to do more moves, some buttons have a second function. So, if you hold a button, a new move will be used, so you can use it in more specific settings or time, making the game a bit more competitive and technical. Will the online component feature some kind of ranking system? Cristian Gonzalez : We don’t have it planned for launch, but there may be a possibility in the future, who knows. The game is now confirmed for the PS, which also means it will support the PS4 Pro. 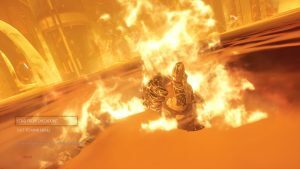 Can you please let us know the resolution and frame rate it will run at on the PS4 Pro? Daniel Winkler: We’re targeting to have the maximum resolution, without lowering the frame rate, but since we’re still working on the polishing and optimization of the game, we don’t want to over nor under compromise yet. Daniel Winkler: Headsnatchers is made with Unreal Engine 4, so developing for one platform had made it very straight forward to make everything working well for the other. Only details like the DirectX is not supported by PS4, so, some graphical stuff had to be changed to look similar using Open GL (for example tessellation). Daniel Winkler: Yes, that seems very accurate. Unlike PS3, Sony did a great job at making PS4 an easy to develop for console and that stays true with PS4 Pro. With PS4 Pro, they give us a more powerful console that works with the same architecture. From a developer view, that is awesome! Is there a specific reason why you are launching your game on the Xbox One? Daniel Winkler: Actually, we’re not launching for Xbox One yet, but we’re still open to include this platform to our Headsnatchers repertoire in a near future. "So, as long we have enough people buying the game to have the cost of more content creation covered, we’ll be happily delivering new free content from time to time to the players." Any chance of a Nintendo Switch version? 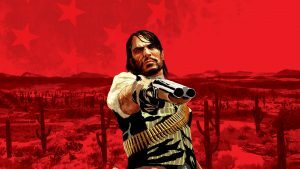 Cristian Gonzalez: There’s always a chance, and we think it would work perfectly for it, but for now we’re focused on the PS4 and Steam. Cristian Gonzalez: Not at all, you can unlock every extra content we created for the game just by playing the game. Like the old days. Daniel Winkler: It depends a lot on how you are using it on your game. There are cases where it’s very nicely done, like in Overwatch for example. But we all know the dark side of that system. It’s understandable why big companies are trying new models like this one. In an era of abundance of games, making a very noticeable game and also market it in a good way, is more expensive every time. And, people getting used to the mobile schemes and the amount of sales available in every platform, tend to get used to pay less every time, or at least they expect the games to cost less. So, that puts companies in a hard situation, where they can easily get a lot of money, but in other hand jeopardize the continuity of the whole company depending only on one game. We had very bad times that still stir our stomachs just by remembering, so imagining a similar situation but involving thousands of workers give us shivers. Well, about Headsnatchers, our main goal is to have the players have an awesome time with our game. And the more people enjoying our game, the happier we’ll be. So, as long we have enough people buying the game to have the cost of more content creation covered, we’ll be happily delivering new free content from time to time to the players. Cristian Gonzalez: We think is very interesting what Nintendo is doing. Doing a portable console, while maintaining the same quality as a household console, that could be a very good goal for others. On the other side of the field, if we continue pushing the power of the consoles, that means fewer things to optimize on and we can just concentrate on creating without any limits. And well, maybe all of the companies will band together to create the one true console, that way we just make one game and don’t worry about ports, hahahaha! Cristian Gonzalez: I mean, it’s likely will get to that, but I think players are showing that their interest go more into competing with people around the world and play games that are more ambitious in gameplay and story. Having the latest ultra-mega hyper realistic graphics isn’t that high on players’ lists. Fun over details. Cristian Gonzalez: We invite you all to play Headsnatchers, so far, we haven’t seen anyone who hasn’t laughed with our game, and all that we want is to see everyone have a blast and fight with your friends in this colorful party of decapitation we’ve made for you.